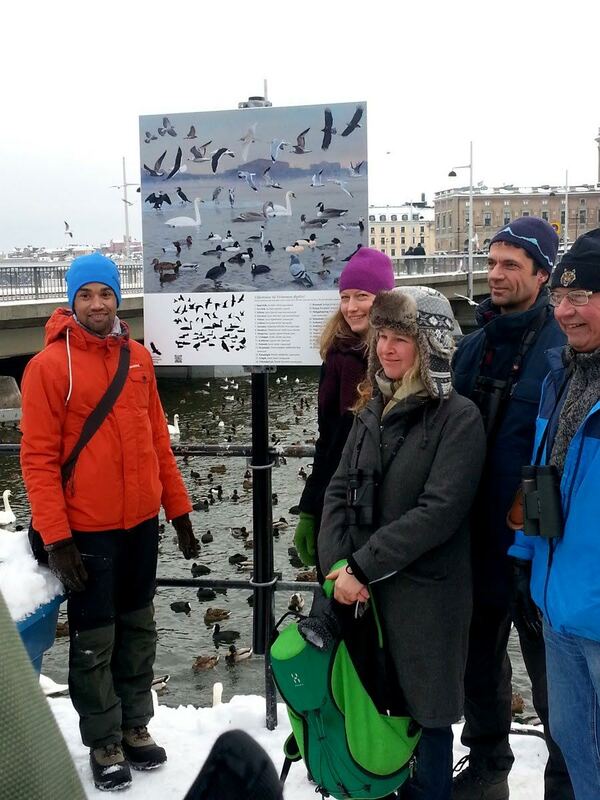 Birds at Strömmen, City of Stockholm, information sign. Commission for the Stockhom Ornithological Society (StOF) . 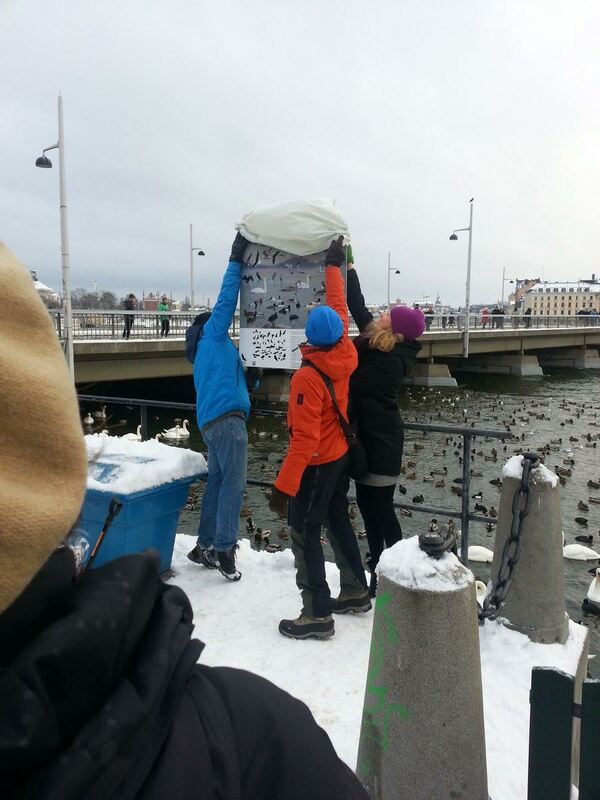 Below is the unveiling ceremony in January 2015 with Katarina Luhr, Vice Mayor of Environment, City of Stockholm, Mova Hebert (StOF), Mats Gothnier, County Administrative Board, Stockholm and Tomas Viktor (StOF).